A few years ago, I created a vision board for my financial and personal goals and one of my goals was to earn at least $100 per hour. At the time, I was earning $15/hr at my entry-level full-time job so it definitely sounded like a crazy and far-fetched goal but that's what I wanted to do. I wanted to work less and spend more time with my family and just living life. Given all the financial goals for myself, $100/hr sounded suitable but I just didn't know how I'd get there. Given the field I wanted to work in, it would take years to work my way up and earn even around $20-$30 per hour so I knew I needed to do something different. 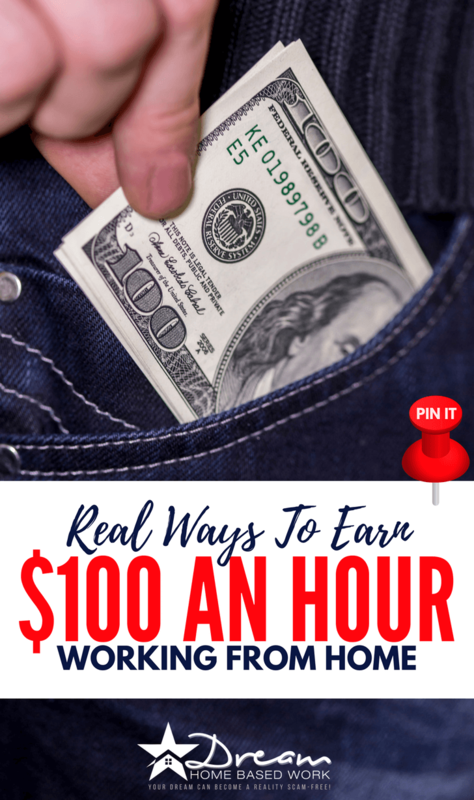 Given my experience with working toward this goal, I've identified 3 proven ways to earn $100/hr. Freelance writing is one of my personal favorite ways and freelancing in general is just a great way to earn extra money online with less boundaries because you get to set your own rates. If you want to earn good money fast from writing, you will probably want to write for a blog with a client who can afford to pay higher rates for posts. Writing marketing material, courses, books, etc. is also a great way to diversify your freelance writing tasks, but the quickest assignments, in my opinion, are blog posts that are 1,000 words or less. If you are a disciplined writer and choose a niche that you are very familiar with, you may be able to draft a quality blog post in an hour or less easily. Then, all you’ll need to do is find a client who can afford to pay you at least $100 per post or $150 per post to account for the extra time you may need to spend proofreading and editing. What I love about freelance writing is that you don't need to earn some type of special degree or certification to get started. You just need basic writing skills, and a niche you really understand so it will be easy to write about. Then you can lean on your network and send quality pitches to bring in clients who can afford your rates. Many corporate businesses hire freelance writers as well, and can pay hundreds per post or even $1,000+ an article so the sky can really be the limit. I found my first client that paid $100 per 600-word post last year after connecting with a fellow blogger online who happened to be an editor for a large financial website. While you may not be able to crank out a $500 article in an hour, you can still average about $100/hr with freelance writing. Personal development coaches like life coaches or nutritional coaches generally make a minimum of $100 per hour. If you are interested in serving others and helping them meet their goals, you could become a certified coach. Even if you don’t want to obtain a certification, you can try your hand at being a self-taught coach and help people overcome an obstacle you were once faced with and overcame. There are so many different kinds of coaches including business, fitness, communication, leadership development, financial coaches and so on. As long as you are motivating your clients, introducing action-based strategies, and offering unprecedented value all while pushing them to succeed and reach their goals, a starting rate of $100 per hour is suitable to charge and people will be willing to pay that amount of money for your services too in order to experience positive results. Sometimes it all comes down to confidence. If you ask for what you know you're worth confidently and back up your price with results, resources, and a guarantee, clients will be more willing to trust and pay you for your services. Starting a blog requires lots of hard work upfront. You probably won’t be able to start monetizing your blog much at the beginning, but after you start sharing killer content and building up a readership, you can focus on monetizing strategies. Once you have more traffic, you can convert that into income by promoting helpful products and services as an affiliate to gain commissions, posting ads on your site in a non-spammy way, and partnering with other brands to market their business and message on your platform as long as you stand firmly behind it. Earning money from blogging is not so cut and dry and the amount of work you put in may not always be reflected by what you earn. 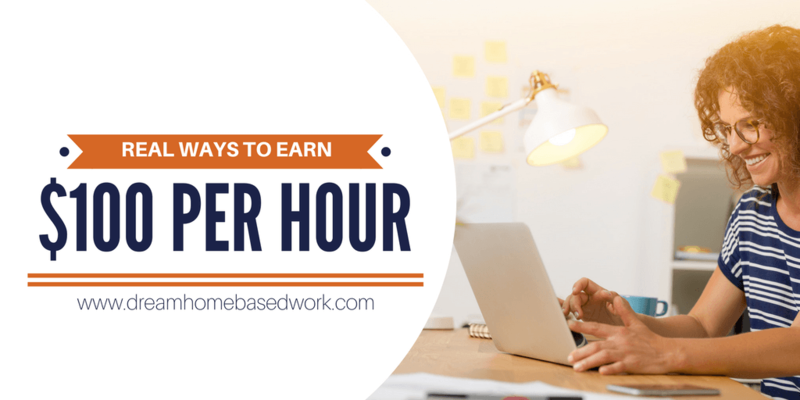 The best way to track your blog income and determine how much you are earning per hour is track your time when completing blogging tasks each day or week, then calculate how much you earned at the end of the month. If you spend 2 hours working on an affiliate post to promote a product or service you like and earn $350 in affiliate sales after your audience reads your post, you’ve earned about $175 in two hours. If you earn $200 in passive income from clicks on ads you placed on your site months ago, you literally earned $200 in less than an hour and put forth very little effort to earn that money. And if you accept a sponsored guest post written by a brand you’ve admired and partnered with for $150 and it took you only 30 minutes to proofread the post and put it up on your blog, you’ve earned more than $100 in less than an hour. As you can see, with blogging the income you earn may vary, but once you build a strong and dedicated following and have lots of traffic coming in through your site, earning $100 per hour is actually just the beginning. It's simple to start a blog, but building it that takes time. I always compare it to farming because you first need to plant the seeds to get it started. Click this link to get started, then follow the instructions below. At the end of the day, it all comes down to offering a valuable service and being able to scale up over time. Focus on offering value, being confident, and having patience when it comes to finding people who are willing to pay your price – they are out there trust me! You may not start at $100 an hour, but by trying the three options I mentioned above, you can certainly get there over time. Imagine how being able to earn more and work fewer hours can change your life. Do you think you could earn $100 an hour doing any of these things?